The fans who packed DC’s Rock & Roll Hotel felt like they were in on a secret — one that won’t stay under wraps for long. Gin Wigmore is already well known in her native New Zealand, and she’s ready to take the States by storm with a crackling, powerhouse voice that commands your attention. The fans who packed DC’s Rock & Roll Hotel felt like they were in on a secret — one that won’t stay under wraps for long. 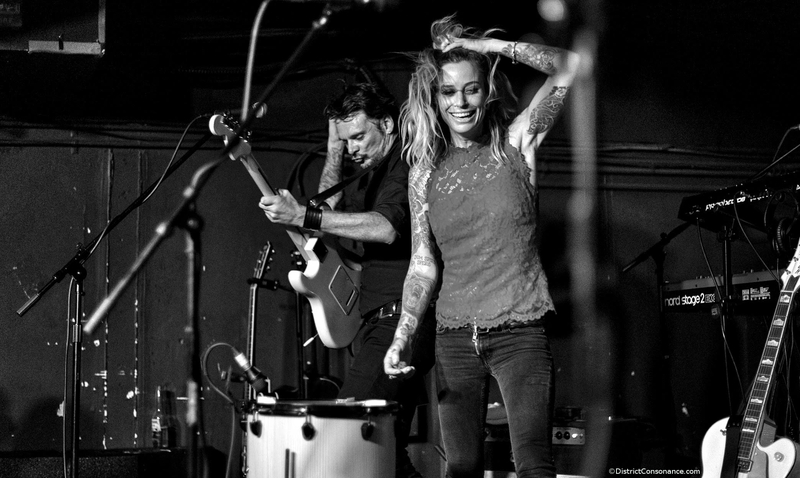 Gin Wigmore is already well known in her native New Zealand, and she’s ready to take the States by storm with a crackling, powerhouse voice that commands your attention. “I step on you to sip on fire,” Gin intones in her latest single, “New Rush.” Her voice simmers somewhere between a croon and a growl, and you can discern the reference points used by folks when talking about her music — Feist, Amy Winehouse, even Janis Joplin.